The bus service in Croatia is fast and efficient and almost every large city is connected by buses to other destinations. Bus travel in Croatia is also inexpensive, and the newish motorways that exist in parts of the country have reduced journey times considerably. The city of Dubrovnik is connected to many destinations in across the country as well as some destinations abroad. Bus travel is popular way of travelling in Croatia both among locals and tourist. Check the article below for detailed info on most popular bus routes from Dubrovnik Bus Station. For detailed bus schedule and bus tickets booking check Dubrovnik Bus Station web site. 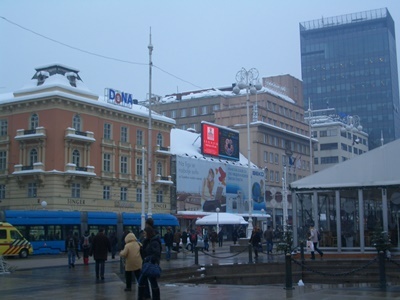 Zagreb, the Croatian capital, which is situated in the northwestern part of the country is connected with Dubrovnik by regular bus service. Buses operated by various companies are available throughout the day. The journey between Zagreb and Dubrovnik lasts from 8 hours to 13 hourse depending on the operator. Buses on this route usually stops in Karlovac, Plitvice Lakes, Split, Makarska, Ploce before arriving to Dubrovnik. Companies operating on this route are following: Croatia Bus, Cazmatrans Dalmatia, Autobusni prijevoz Varazdin, Samoborcek and Auto Poduzece Z. For detailed bus schedules and prices on all buses operating between Zagreb and Dubrovnik check official web site of Zagreb Bus Station. Through this web site yo can also purchase bus tickets for Zagreb to Dubrovnik buses. For more info on getting from Zagreb to Dubrovnik click here. The largest Croatian peninsula Istria and nearby Kvarner Bay are both situated in the Northern Adriatic. From this region there are daily two buses to Dubrovnik. Autotrans is the bus company running on this route. It operates modern and comfortable buses. Bus travel from Rijeka to Dubrovnik takes around 12 hours. The same buses depart earlier from Rovinj and Pula, pass through Rijeka and continue their journey to Dubrovnik. For more info on bus schedules and prices check Autotrans web site. On the same web site you can purchase bus tickets online. For fastest travel between Rijeka and Dubrovnik, take one of direct flights which takes only 2 hours. The flights are operated by Trade Air. Tickets can be purchased through Croatia Airlines web site. The city of Zadar is situated in Northern Dalmatia and from there you can easily reach any Croatian region (Rijeka and Istria, Central and Southern Dalmatia, Zagreb and central Croatia). Between Zadar and Dubrovnik there are eight buses throughout the day. Companies running on the route are following: Autrotrans, Cazmatrans Dalmacija, Croatia Bus, AP Varazdin Croag. Travelling time between Zadar and Dubrovnik is around 8 hours and along the way buses stop in Vodice, Sibenik, Primosten, Trogir as well as Split and small places south of Split. 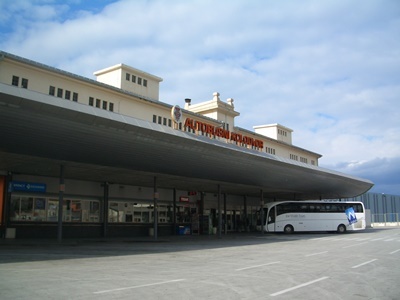 For more info on buses schedule and ticket prices check Zadar Bus Station web site. The city of Sibenik is situated in Central Dalmatia, some 80 km to the north of Split. Bus service between Sibenik and Dubrovnik is regular with 5 buses a day. Companies operating on this route are following: Autotrans, Cazmatrans Dalmacija, Autobusni prijevoz Varazdin. The bus journey between Sibenik and Dubrovnik is around 6 hours. There are around 13 buses between Dubrovnik and Split every day. Bus companies running on this route are following: Croatia Bus, Autotrans, Promet Makarska, Cazmatrans Dalmacija, AP Varazdin - Croatia Bus and Auto Poduzece Z. This route is very popular due to a large number of tourist travelling between Split and Dubrovnik, especially during summer season. Buses running on this route take coastal route and along the way stop at places such as Tucepi, Makarska, Baska Voda, Brela, Ploce and Metkovic. The bus ride from Split to Dubrovnik takes around 4 hours. For detailed info on bus schedules and prices check Split Bus Station web site. Find other options of travelling between Split and Dubrovnik here. Split is a city located in central Dalmatia. 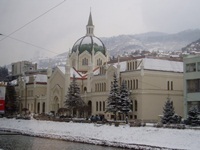 It is the largest Dalmatian city and the second-largest city of Croatia. With new trains, new air routes and dozen of ferries and buses, Split is becoming one of Croatia's prime points of entry. Most of the central Dalmatian islands are only reachable via the Split port (Brac, Hvar, Solta, Vis, Korcula, Lastovo). There are only one daily bus between Dubrovnik and Korcula, taking approximately 3 to 3,5 hours. Tickets can be purchased on the day and in advance from Dubrovnik and Korcula Bus Station as well as online - on Autotrans web site. Bus tickets for specific bus can be purchased from the departing bus station. Some companies offer purchasing bus tickets online. GetByBus is a web site from which you can buy bus tickets for most bus lines in Croatia as well as for buses to other countries. We advise you to buy bus tickets in advance especially if you are travelling in high season due to popularity of this kind of travel in Croatia. Please note that bigger pieces of luggage must be places in hold of the bus. Each piece costs around 6-7 HRK. Please note that on your way to Dubrovnik you will pass through small section of Bosnia and Herzegovina called Neum Corridor. You may be asked for passport, so keep it handy. You do not need a visa to pass through Bosnia unless you needed a visa to enter Croatia. It is possible to arrive to Dubrovnik by bus from abroad. Find below the list of bus routes from/to Dubrovnik Bus Station. Tickets for these routes can be purchased via GetByBus web site.